- Don’t miss the highlights: Pearl Harbor, Haleakala, and Oahu’s famed North Shore, just to name a few. - If you’re on a budget, eat a hearty lunch at mid-day prices and enjoy a lighter dinner to avoid the hefty cost of an evening meal. - Leave room in your schedule for the unexpected—travel is all about being open to new experiences! - Remember that much of this land is considered sacred. Treat it as such. - Got some extra time in Honolulu? Visit the lesser known attractions, like Iolani Palace and the Kamaka Ukulele factory, before filling up on the local specialties. We highly recommend crispy pork, poi, and malasadas donuts. - Visit one of the many food trucks for adventurous menus of fresh local dishes. - Get in the water—you’ll be amazed at how warm it is year-round. - Go whale watching. Each year, pods of humpback whales migrate from Alaska to the warm-water breeding grounds off the islands from early winter through spring. - Make sure to use sunscreen—and reapply often. - Sit back and listen to some local music. - Take time to do nothing but lie on a beach, chat with a local and enjoy the aloha spirit. - Travel off-peak—fall offers low seasonal fares and fewer crowds. - Look up at the stars and make a wish. - Stretch out your vacation. Since much of your travel budget is spent on getting to Hawaii, why not make the most of your time and spend a few extra days on the islands? 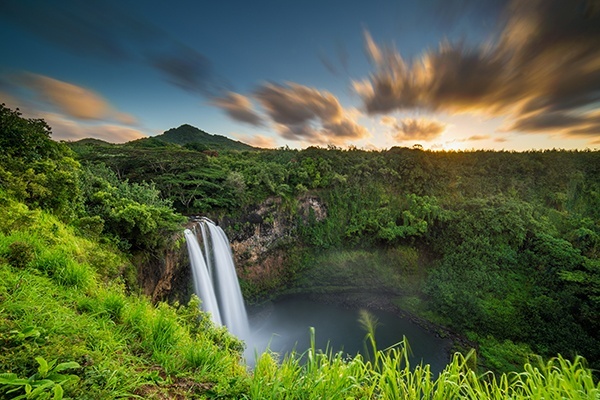 YMT Vacations offers several Hawaiian itineraries that let you select the vacation package that’s just right for you. To learn more about our group travel options, or to make your plans to join us on one of our exciting journeys to paradise, contact a travel professional or call YMT Vacations at 844-416-6179.